Dr John N. Kramer came back to his hometown in 1986 after finishing dental school at The Ohio State University and his residency at Miami Valley Hospital in Dayton, OH. He has treated his patients with honesty and professionalism since his return. 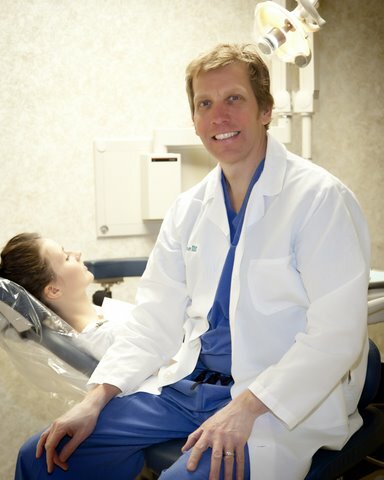 Dr John has been voted “Best Dentist of the Year” numerous times by residents of the Ohio Valley. He has been active in his community serving as the chairman of the Martins Ferry Chamber of Commerce “Skyshow” on the 4th of July for an unprecedented 20 years. He lead the community effort to expand the East Ohio Regional Hospital with the successful “Building a Better Healthcare Campaign” which raised in excess of $3.5 million dollars. Most recently, he spearheaded the local effort to take all the children, grades K-3, from Belmont County to the Children’s Museum in Wheeling to experience an educational program on dental health, titled “MouthPower”. He has been active with his profession as well, serving the Eastern Ohio Dental Society, the Ohio Dental Association and the American Dental Association in numerous capacities. But it can be argued that Dr. John is best defined by the compassion and respect he has shown to the less fortunate around the globe. He has attended medical-dental missions to the Philippines on four different occasions were he has served thousands of Filipinos that have no access to dentistry. Additionally, during the devastation from the Hurricane Katrina, he raised money, procured a mobile dental unit , recruited dentist, and went to Louisiana where they assisted the displaced people for a month. Both of these efforts were recognized by the Ohio Dental Association with Dr. John being the only two time recipient of the ODA Humanitarian Award. Dr John's greatest achievement was to get his wife, Kristina, to marry him years ago and his greatest joy, is their son Micah.